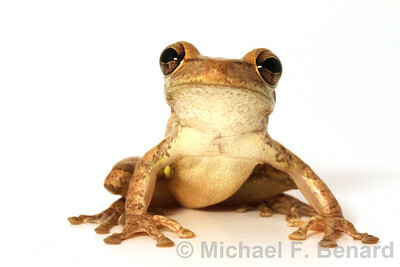 This Cuban Treefrog showed up in a Cleveland, Ohio, flower shop. 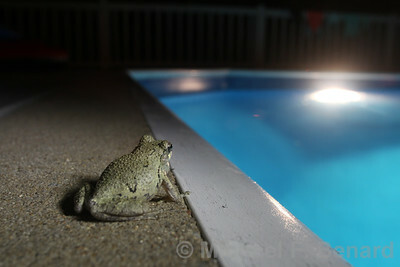 It hitched a ride on a shipment of plants from Florida. 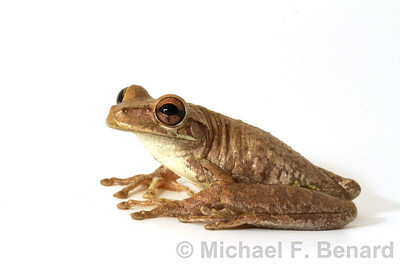 Cuban Treefrogs are native to Cuba, but have been introduced to Florida. 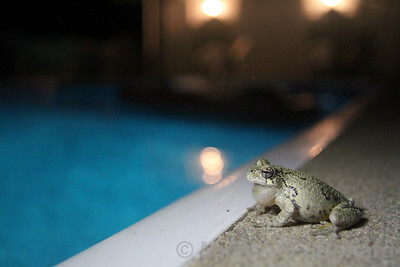 A Cope's Gray Tree Frog seen singing next to a swimming pool. 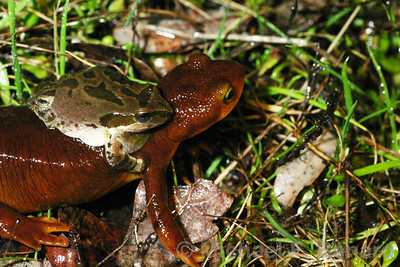 This is an example of an "ecological trap", where an animal's natural responses to cues cause inappropriate behavioral responses to human disturbances. 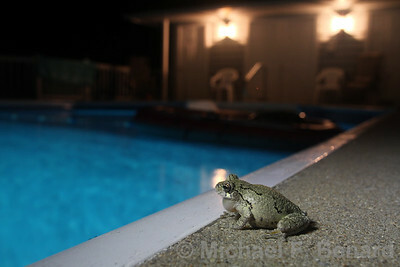 In this case, the frog is mistakenly singing next to a swimming pool, even though its tadpoles could not survive the chlorinated water. 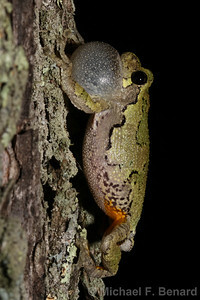 This Gray Treefrog sings from his perch on a tree. 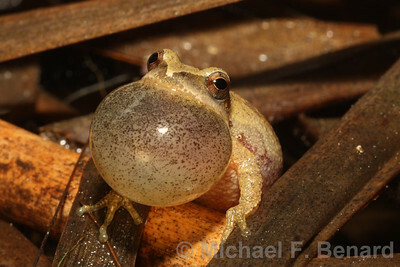 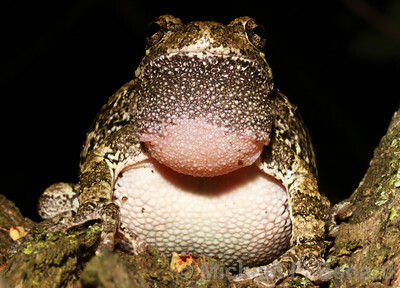 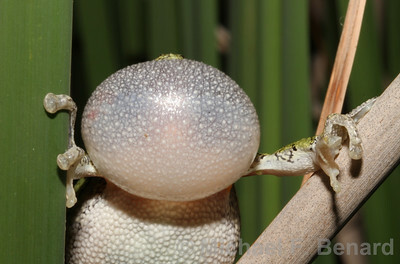 The inflated vocal sac of this Gray Treefrog hides his face from veiw. 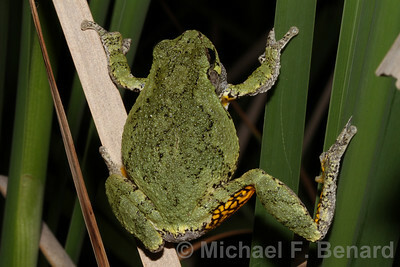 You can see the bright yellow flash color on the underside of this Gray Treefrog's leg. 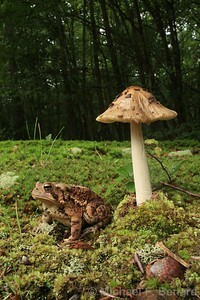 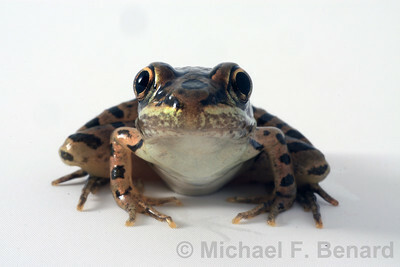 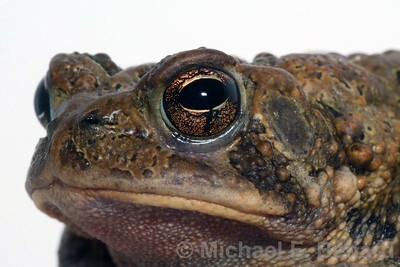 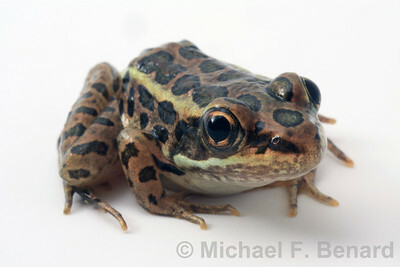 The yellow color may distract predators when the frog jumps. 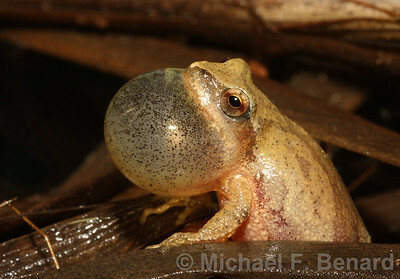 Gray Treefrog Tadpoles develop red tails when they smell predators. 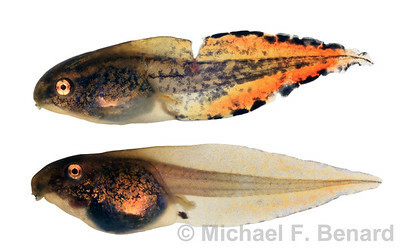 The tadpole on top grew up in an environment with predators, and so developed a red tail. 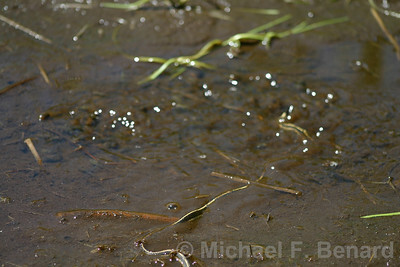 The tadpole on bottom grew up in an environment without predators, and so does not have the conspicuous red tail. 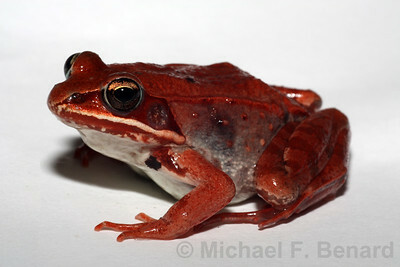 Some female wood frogs develop a distinct red color. 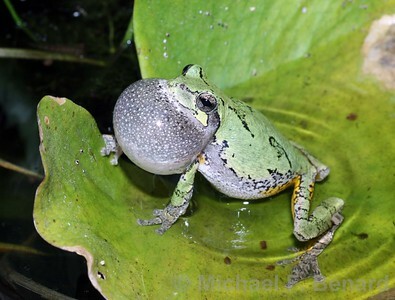 A big male Gray Treefrog perches in a tree over a pond during breeding season. 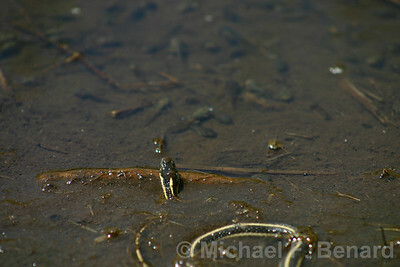 These are older images taken by a Canon Rebel, and are lower resolution than more recent photos. 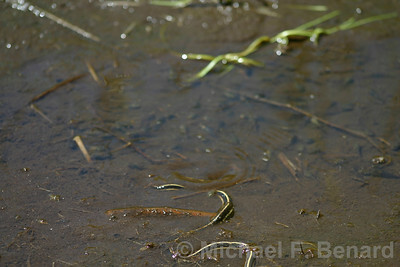 Snake Vs. Tadpole 2: Sneaking into position. 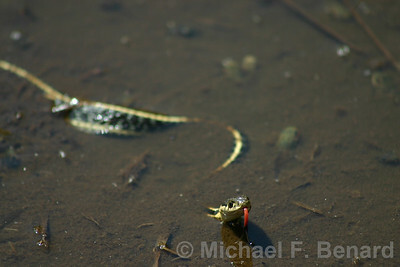 Snake Vs. Tapdole 3: All hell breaks loose.